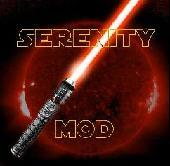 GID part2 on mediafire - 9 November 2009 - Jedi academy Mods: By Serenity. If any of parts doesnt work tell me and i will reuplaod! Hey, part 2 doesn't work!!!!!!!! PLZ post it AGAIN!!!!!!!!!!! Sorry to say it frosts but 44 is down to!! Also part 70 if you have the time frosts. Thank you!!! Frost, part 18 is down again, I friend is trying to download but 18 is dead. Could you please upload again? Frosts, Why are there all these strange people commenting strange comments on this page? I will be happy to seed! Just make sure to tell me how!